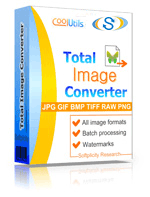 Convert XCF to BMP raster images online and for free! Run the XCF to BMP Online Converter or get a batch App and save time! Description XCF extension is the native file format for graphic editor GIMP, which is free program for making and editing bitmap graphics and partly - vector graphics. What keeps it apart from Photoshop PSD files is absence of the history of undos, other features have much in common. For example, layers, channels, transparency and so on. XCF format uses lossless compression. Abbreviation XCF means verbatim eXperimental Computing Facility, intended mostly for students, interested in computer science studying.